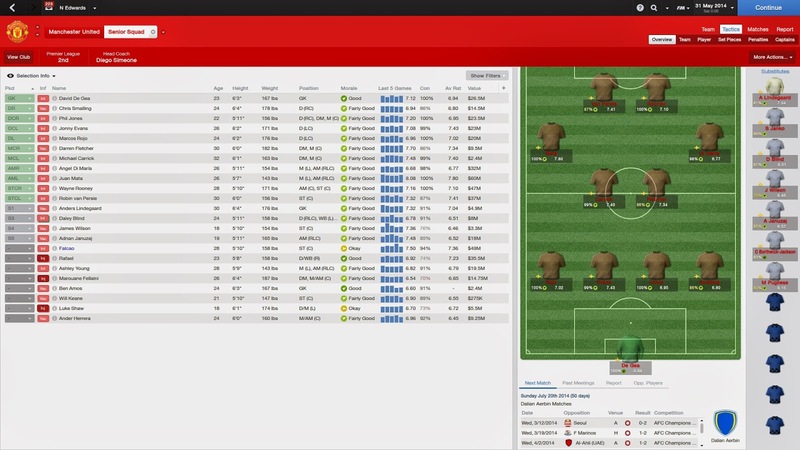 Yesterday we tried out the 1-7-2 formation at Manchester United, putting all the attacking talent on the field at once. Unfortunately, half of that talent got injured in our Football Manager 14 simulation, and I was replaced as manager by November. Today, we're going to simulate another parody formation: A lopsided 3-5-2 or 3-4-3 or something, pictured to the right. Like the 1-7-2, this formation is drawn up to put all the best Manchester United players in their natural position. Because of the weird assortment of players Man U has available, this results in three left backs. 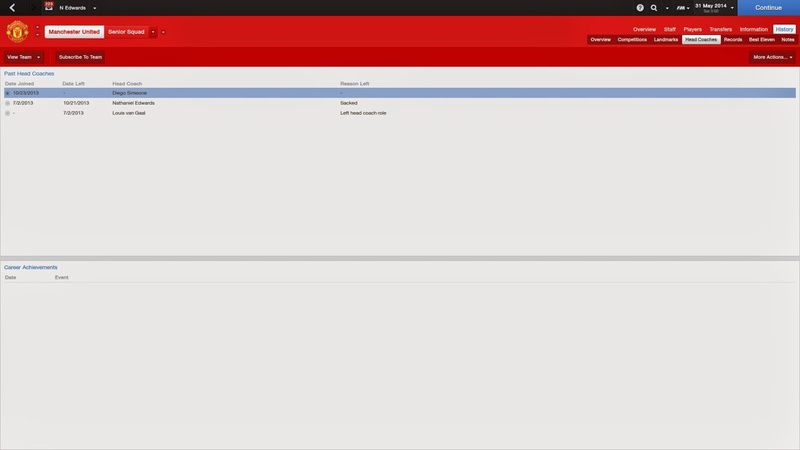 Let's give it a shot in Football Manager. 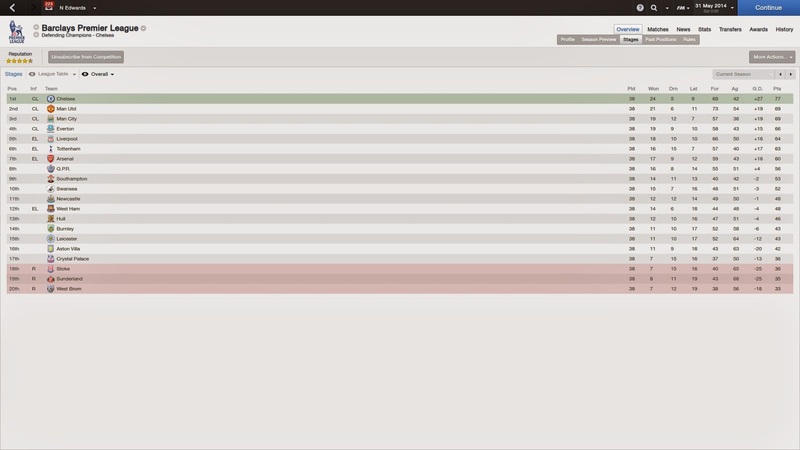 Here's the formation in Football Manager, again with roles and duties auto-assigned. 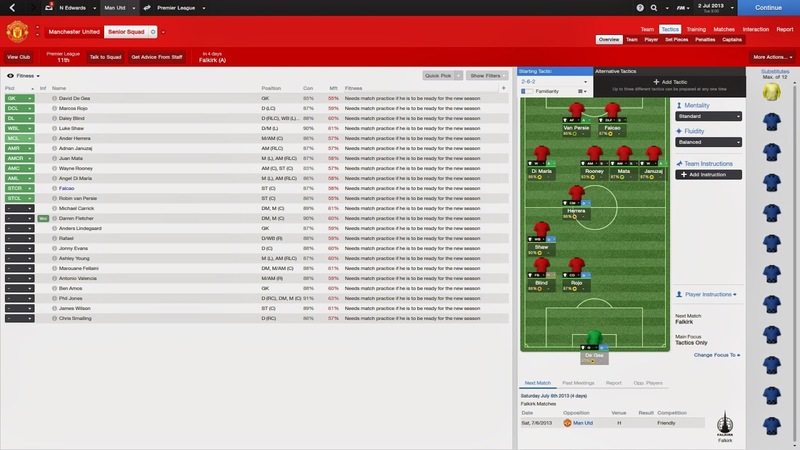 Unfortunately you can't put in three left backs in FM, so Rojo was put in the LCB position. Theoretically, this formation is more balanced than the 1-7-2, though it's unclear how the match engine will deal with that huge hole on the defense's right side. We finished 2nd! Incredible! The formation must have worked perfectly! Or maybe I was fired in October. 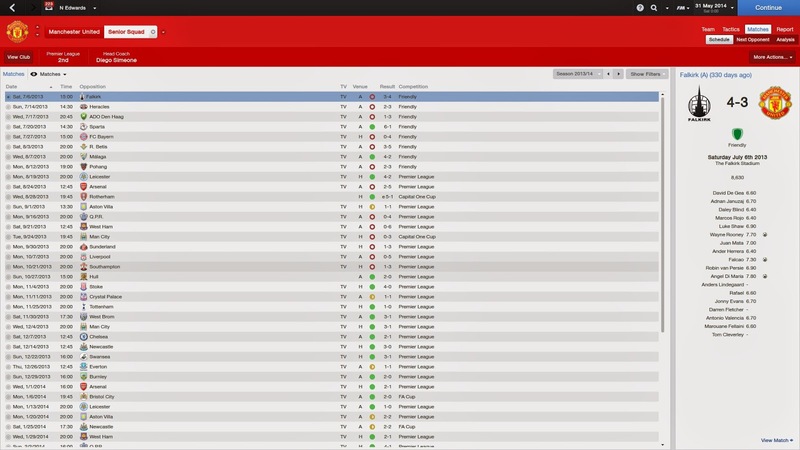 Again, Diego Simeone replaced me, but he used the extra time in charge to nearly win the league. Simeone was deadly effective in charge, as you can see from these results. Starting the very week he came into charge, Manchester United started a 21 match unbeaten run. Again, Simeone went for this 4-4-2 formation. It seems to be working out for him. The parody formations haven't had much success, so next time we'll go after something much more realistic: Van Gaal's preferred 3-5-2 with wingbacks.